Emirates SkyCargo, the cargo division of Emirates airline, and DHL Global Forwarding, the air and ocean freight forwarder of Deutsche Post DHL, will partner to drive the e-freight agenda across their networks, to become the industry leaders in implementation. Both companies recognize the strategic value of e-freight; working in an electronic environment will bring enhanced operational efficiency and improvement to the supply chain. In 2010 alone, Emirates SkyCargo has to date carried nearly 30,000 international e-freight shipments – more than any other carrier. DHL Head of Global Airfreight Michael Schaecher said DHL Global Forwarding already handles more than a third of all international forwarder-issued e-freight shipments today. “We will work with Emirates SkyCargo to ensure that driving e-freight volumes stays a key strategic programme for us,” Mr. Schaecher said. E-freight is an industry-led project involving carriers, freight forwarders, ground handlers, shippers and customs authorities. It aims to take the paper out of the air cargo supply chain, streamline processes, improve speed and reduce costs. A number of factors contribute to these positive results: reduced cycle times of 24 hours on average, greater reliability and accuracy due to one-time data entry at the point of origin, and much better visibility in the online track on account of electronic documentation. According to the International Air Transport Association (IATA) up to US $4.9 billion of annually industry savings could be generated by e-freight processes. The environment will also benefit from the elimination of 7,800 tons of paper documents worldwide – the equivalent of 80 Boeing 747 freighter aircraft per year. Emirates SkyCargo, which already carries more international e-freight shipments than any other carrier, will join forces with DHL to promote the initiative across their networks. Emirates’ 152-strong fleet is one of the youngest in the skies. Emirates SkyCargo’s fleet includes seven freighters (three Boeing 747-400Fs, two 747-400ERFs and two 777Fs) and now serves 108 destinations in 65 countries on six continents. 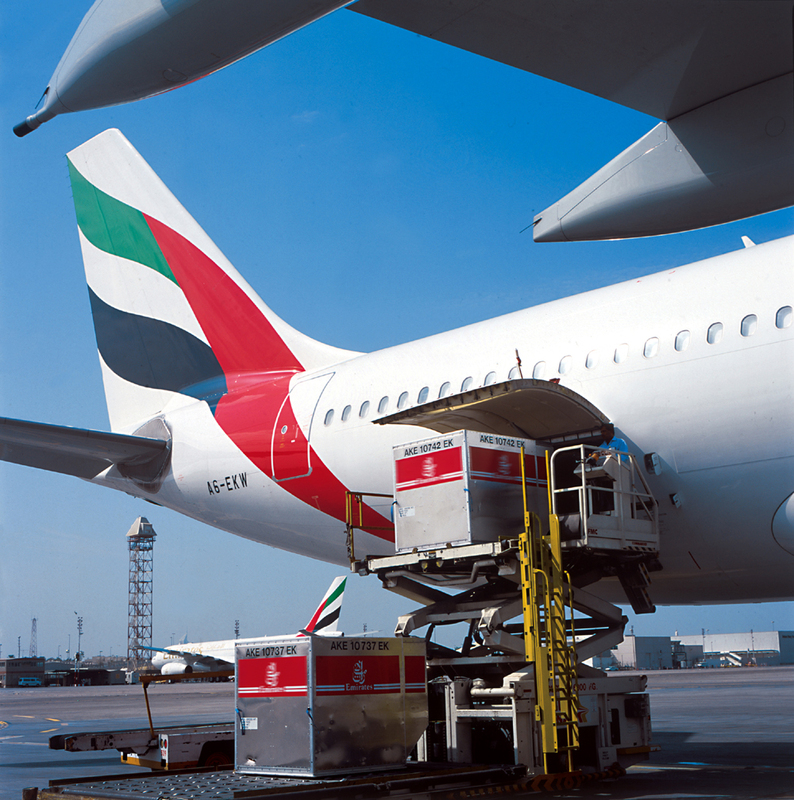 In the 2009-10 financial year, Emirates SkyCargo carried 1.6 million tonnes of cargo, an improvement of 12.2 per cent over the year’s previous 1.4 million tonnes. Cargo revenue, at AED 6.3 billion (US$ 1.7 billion), including mail and courier, contributed 17.2 percent of the airline’s total transport revenue. DHL is the global market leader in the logistics industry and “The Logistics Company for the world” with a global network composed of more than 220 countries. DHL is part of Deutsche Post DHL. The Group generated revenue of more than €46 billion in 2009.